The world premiere of the LENNON v McCARTNEY film is at the Lighthouse Cinema in Smithfield, Dublin, next Tuesday (June 2nd) at 5.30pm. 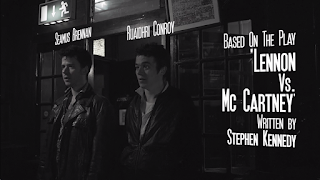 Originally a stage play by Stephen Kennedy, LENNON v McCARTNEY has now been made into a short film by Eddie Jackson. 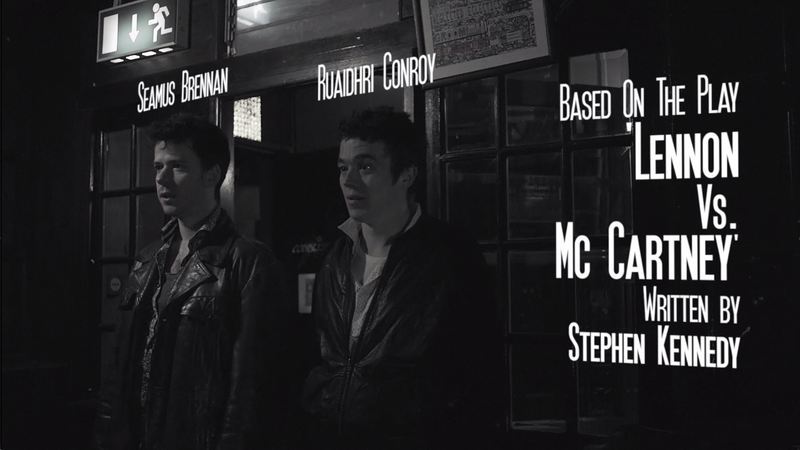 The film stars Rúaidhrí Conroy and Seamus Brennan. Rúaidhrí was the main star in Six Shooter – a film which was written and directed by Martin McDonagh and won an Oscar. Rúaidhrí also won the Theatre World Award for the title role in Martin McDonagh's play The Cripple of Inishmaan. And Seamus Brennan has acted in plays such as Christ Deliver Us at the prestigious Abbey Theatre. Stephen Kennedy is a writer from Ireland. His poetry has been published in the Irish Times, The Stinging Fly, Books Ireland, Sunday Tribune, and many other publications – including two recent collections – If Ever You Go: A Map of Dublin in Poetry and Song and New Planet Cabaret. Stephen has been nominated for the RTE PJ O’Connor Radio Play Awards and shortlisted for the Hennessy XO Literary Awards. His plays have been performed in Ireland, England, Scotland, Germany and the US – and he is also Director of the Dublin Beatles Festival.